… at least if you are a writer … at least if you are this writer. You may or may not have read how a typewriter owned by my parents made a significant impact in my young life. I wrote this entry back on Veterans Day of last year. 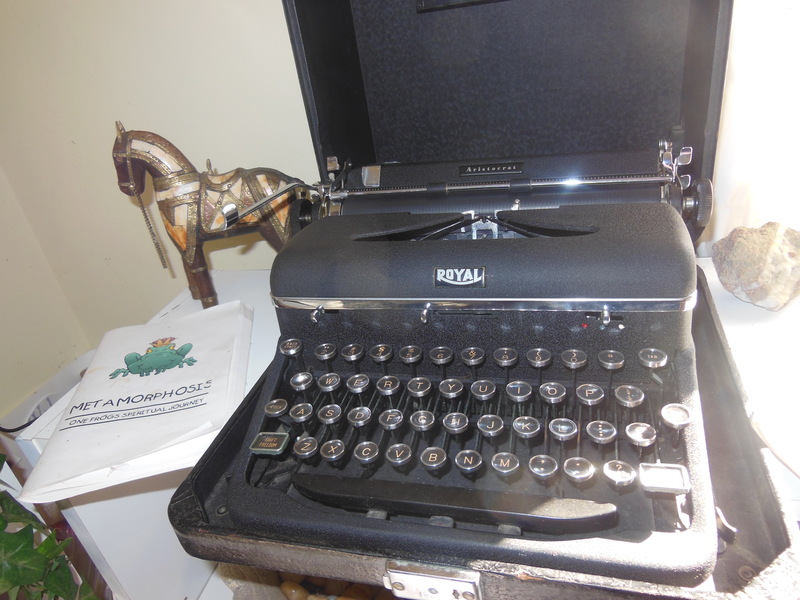 I had no idea that almost one year later, I would be the proud owner of that typewriter … a 1940’s era vintage Royal Typewriter … as I mentioned in a recent post about NaNoWriMo Widgets. This is the typewriter which now sits behind my desk … under the Anne Lamott picture of a vintage typewriter with a quote … that I mentioned a few days ago … inspiring me to keep writing. Now … the rest of the story. 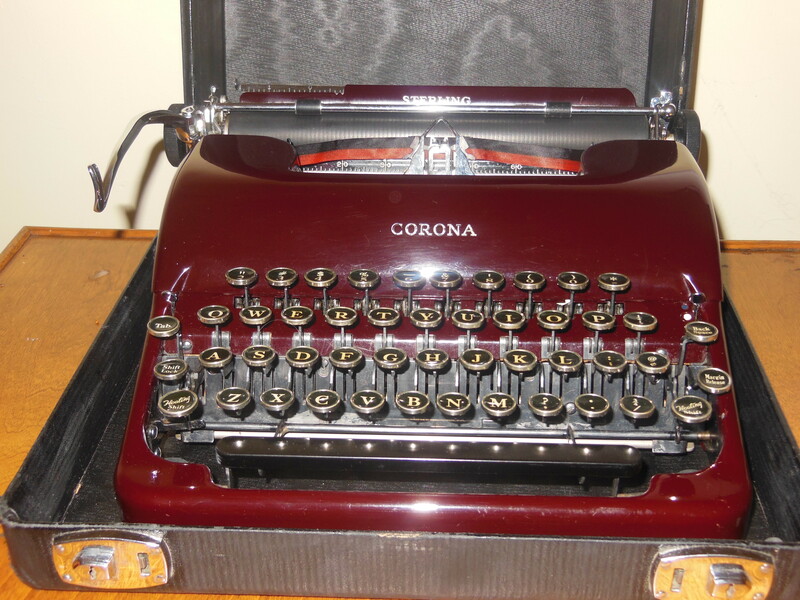 In that recent post, I mentioned that I really admired the pretty red vintage 1930/1940’s era Corona typewriter that another writer had as the backdrop for her blog. I admired it … a lot. Something came in the mail for me the other day. I had been feeling pretty down and depressed. You may recall that day. Not good for many reasons. And the next day had its own personal hell. Timing is everything. Not that you would know it here. So I opened the box and took out the contents. It was a belated birthday gift to myself … using money given to me for that purpose.